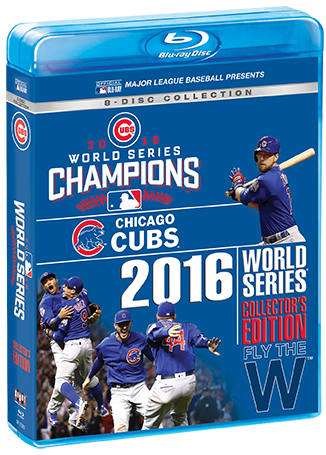 The wait is over, the Chicago Cubs™ are 2016 World Series® champions! The Cubs overcame a 3-1 game deficit to the Cleveland Indians™ to win a 7-game Fall Classic™ for the ages. Dominating pitching, spectacular defense, and clutch offense all helped the Cubs end a 108-year title drought in dramatic fashion. 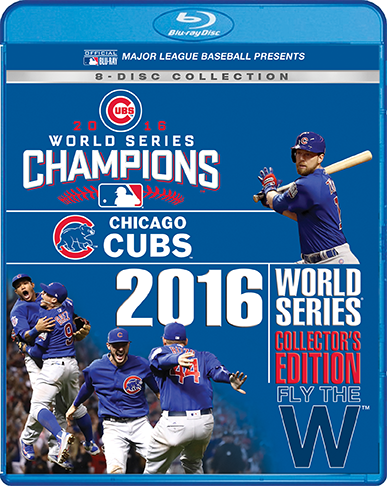 THE CHICAGO CUBS 2016 WORLD SERIES COLLECTOR'S EDITION includes all 7 games of the Fall Classic, as well as a bonus disc of the pennant-clinching NLCS™ Game 6 at Wrigley Field™. 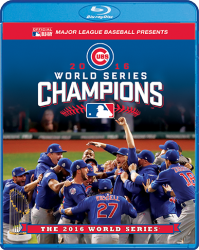 Relive every moment of the 2016 World Series starring Kris Bryant, Anthony Rizzo, Dexter Fowler, Javier Báez, Jake Arrieta, Jon Lester, and World Series MVP Ben Zobrist.